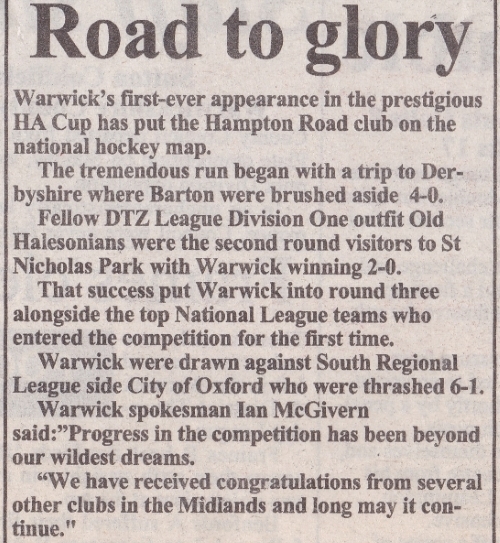 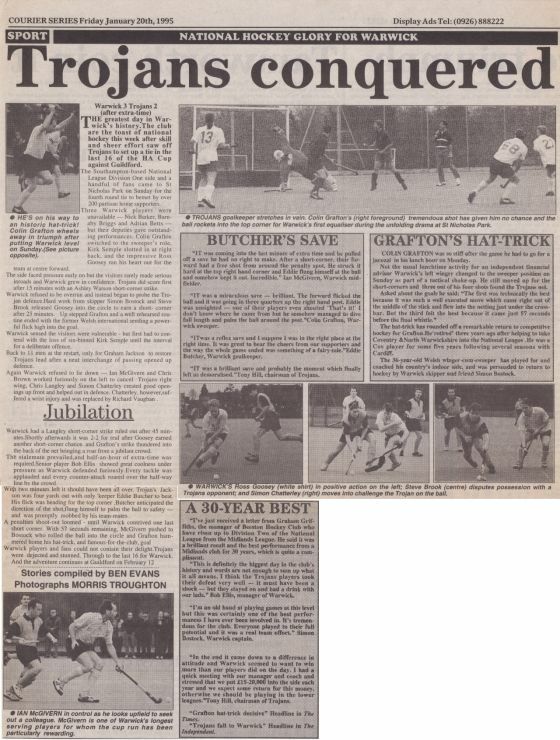 Our men's side of 1995 / 96 got to the last 16 of the HA Cup! 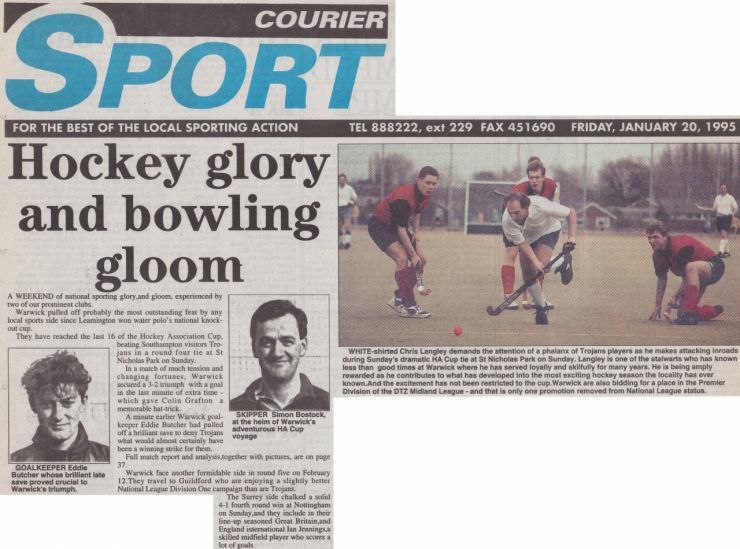 We received extensive press coverage at the time as you can see. 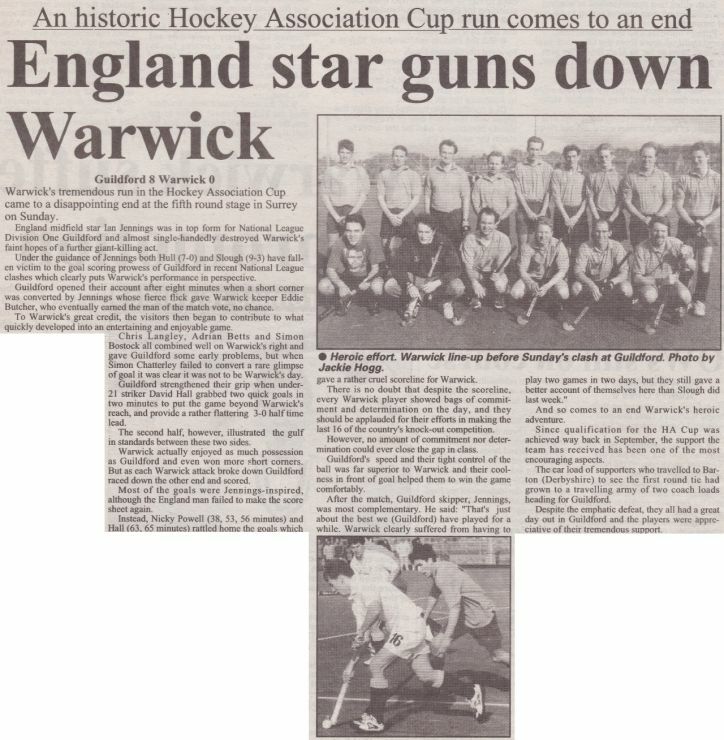 ...and a major article in the sports pages. 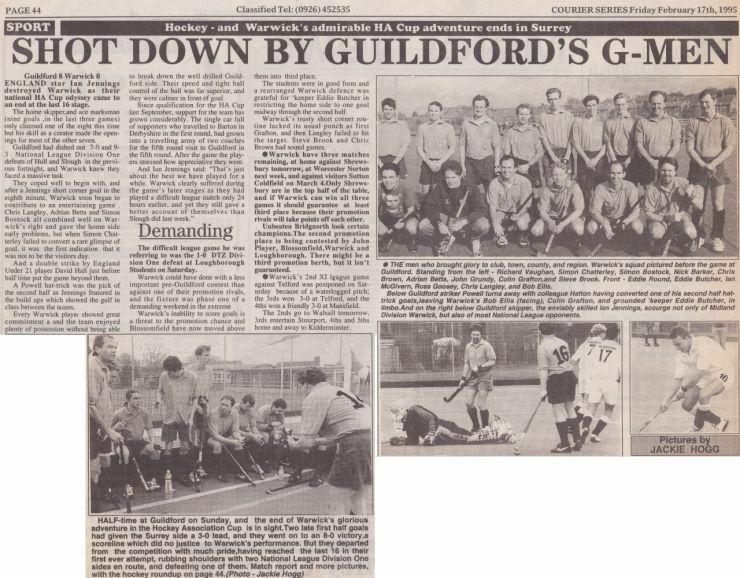 For our fifth round of the HA Cup - last 16 - we were drawn away to National League side Guildford. 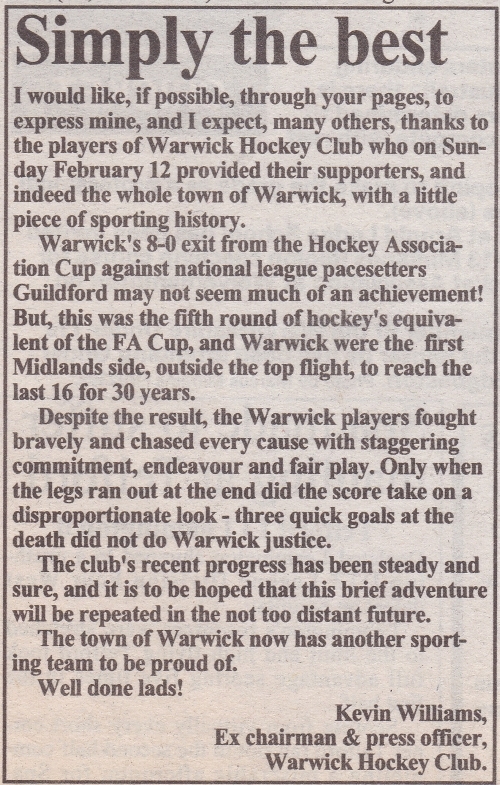 We received a lot of support throughout the cup run.